The issue of Time of Transfer / Time of Sale inspections will be the subject of the first session in WasteWater Education’s full day track at the 2019 WWETT Show February 20. If you plan to attend be sure to register using our discount code ACWE501. Feel free to share the public recording link. This allows anyone to also access the file resources. We make a living by what we earn. We make a life by what we give to others. 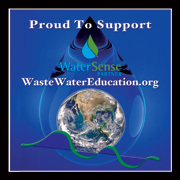 Help us to pay forward to ensure water stays water – not waste!